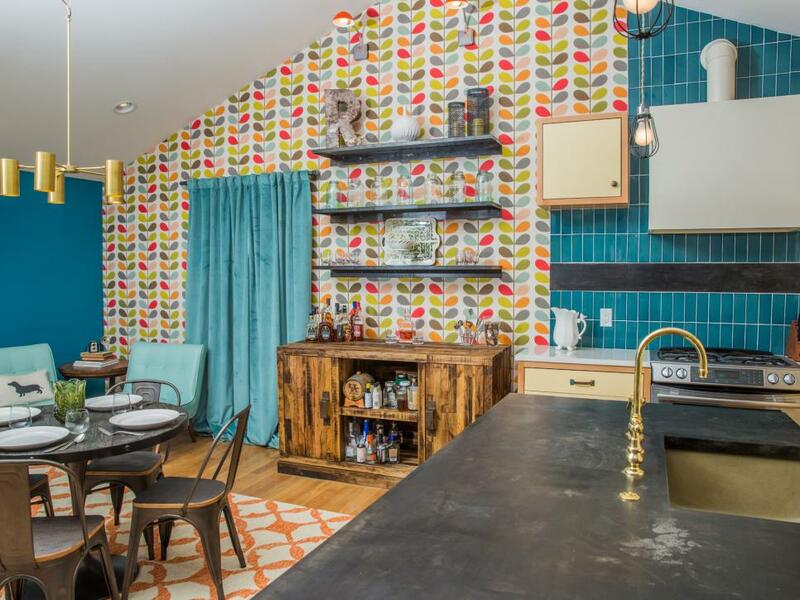 Enjoy comfortable dining in the corner of this modern kitchen. 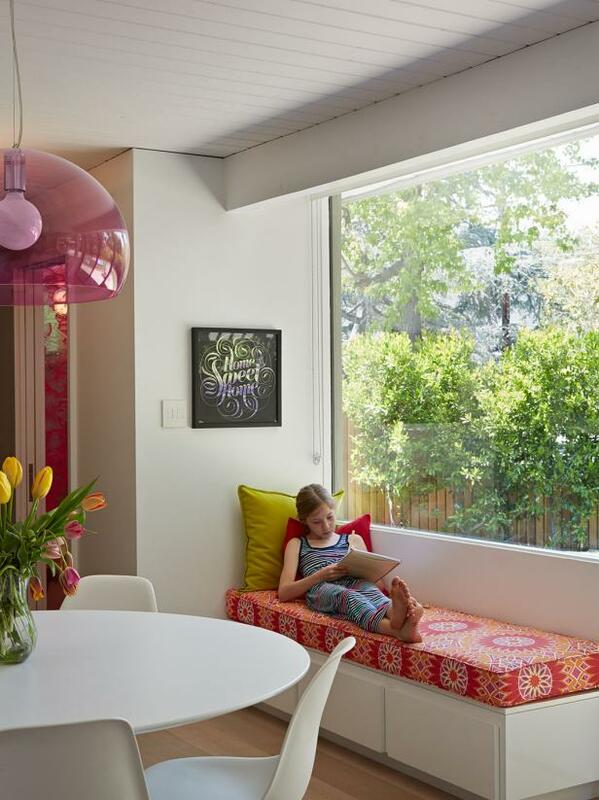 A long banquette with throw pillows around a small metal table provides the perfect spot to casually dine for breakfast or lunch. 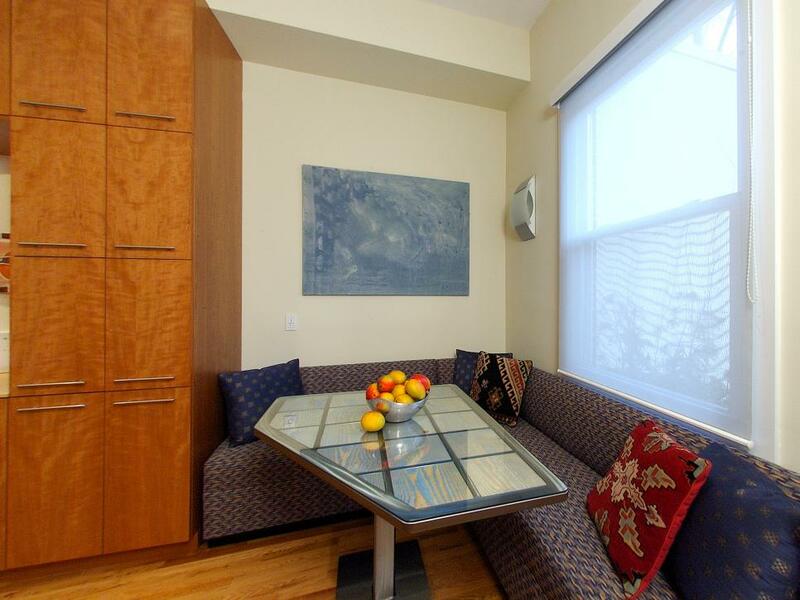 A sleek design that blends perfectly with any style. 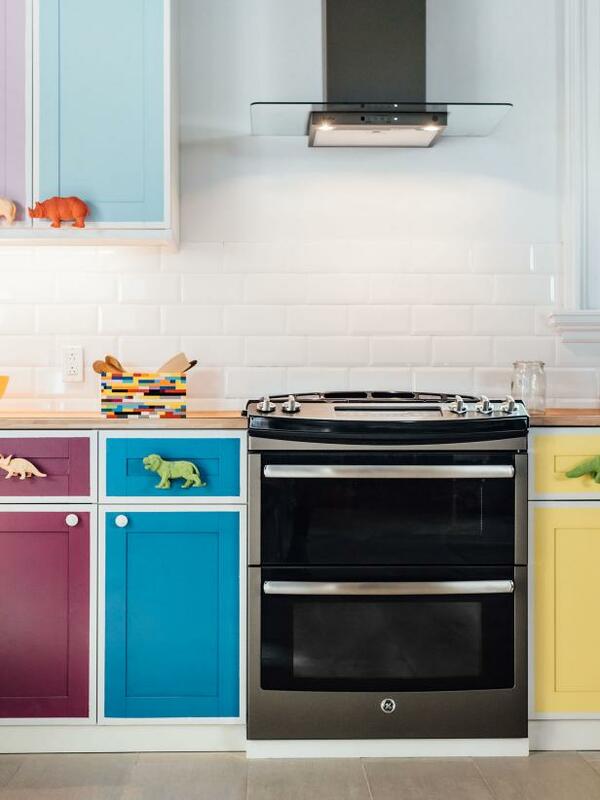 Rich and elegant, the GE Slate range and hood hide fingerprints and blend perfectly with any color palette. 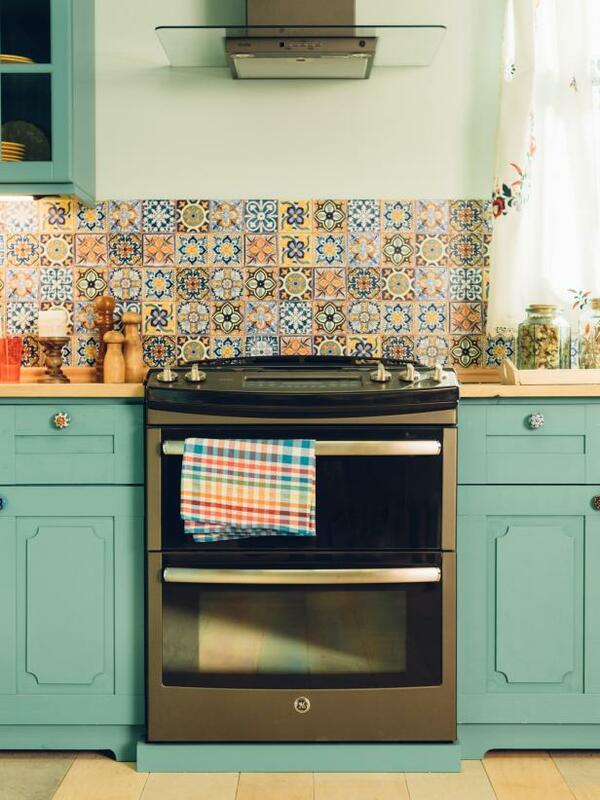 It also features a double oven so you can cook dinner and dessert at the same time. 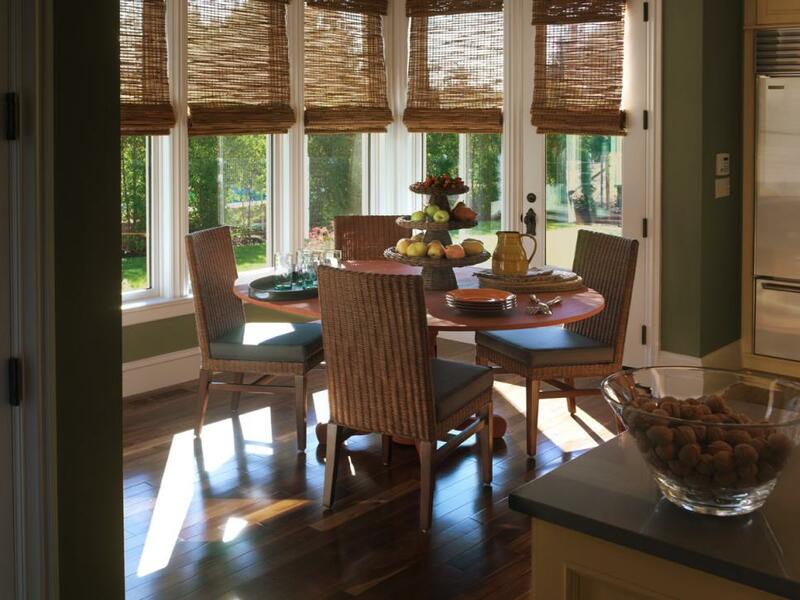 The cozy breakfast nook in the 2009 HGTV Dream Home includes a whimsical pumpkin-colored pedestal dining table surrounded by rattan chairs. 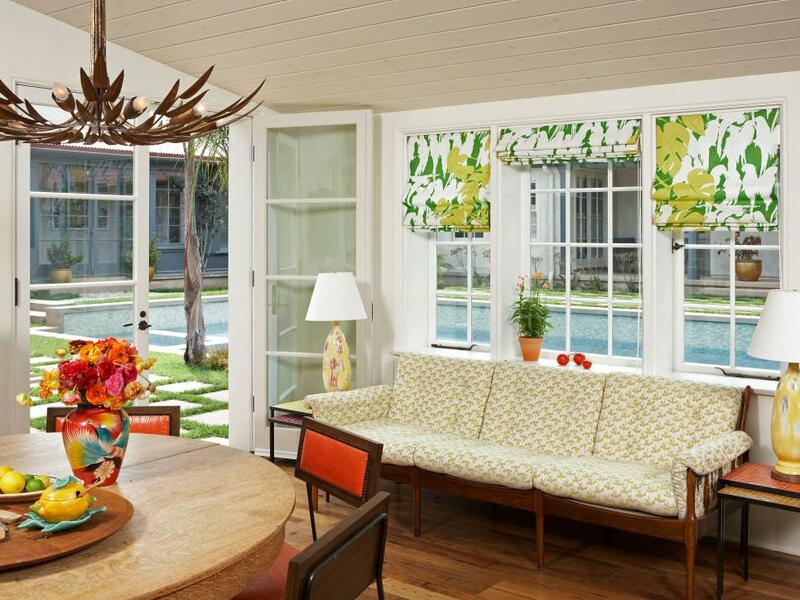 The space is bathed in natural light pouring in from the full-length windows. 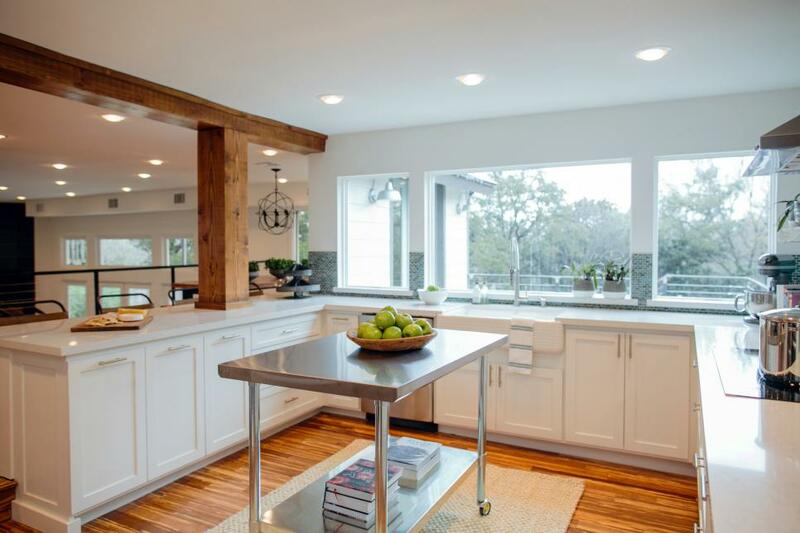 The new modern kitchen features white cabinets, exposed wood beams, great views and lots of light. 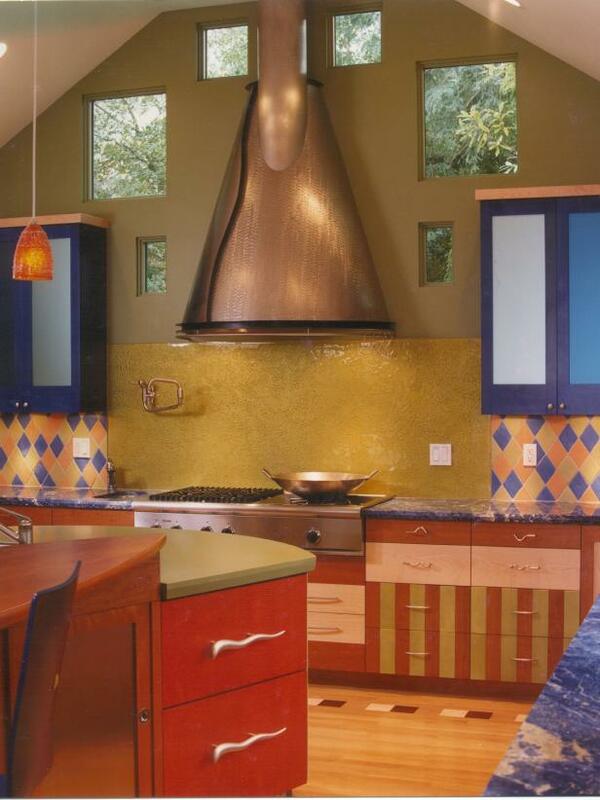 The island with stainless top and casters provides additional prep space and flexibility. 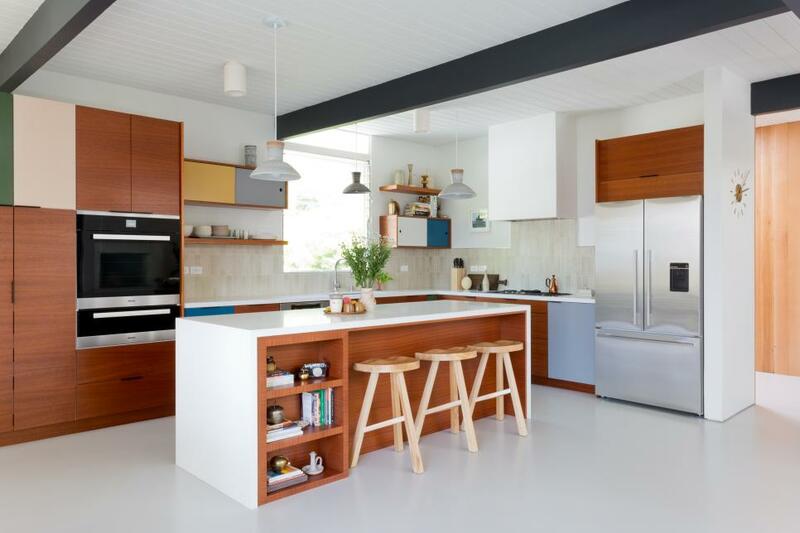 A modern kitchen with mixed patterns and textures includes cabinets done in solid bases with tiger wood and glass front panels. 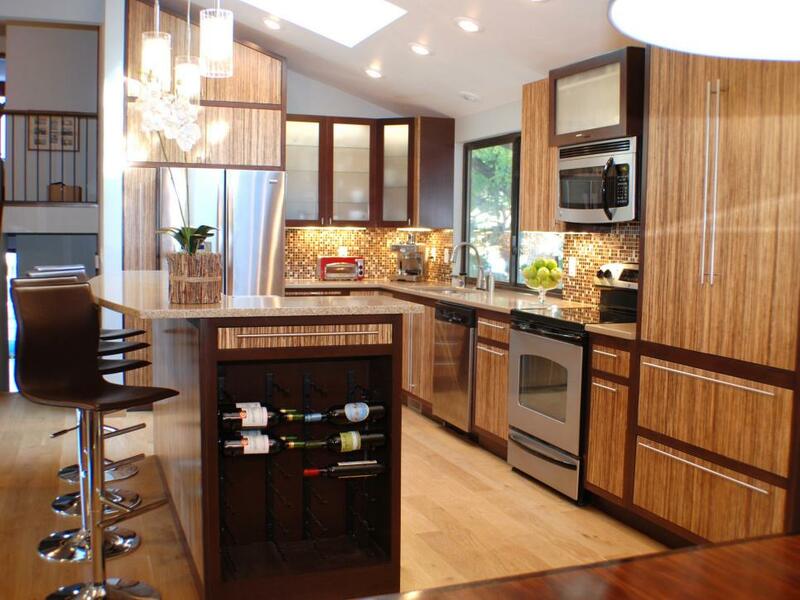 A breakfast bar has built in wine storage and pendant lighting. 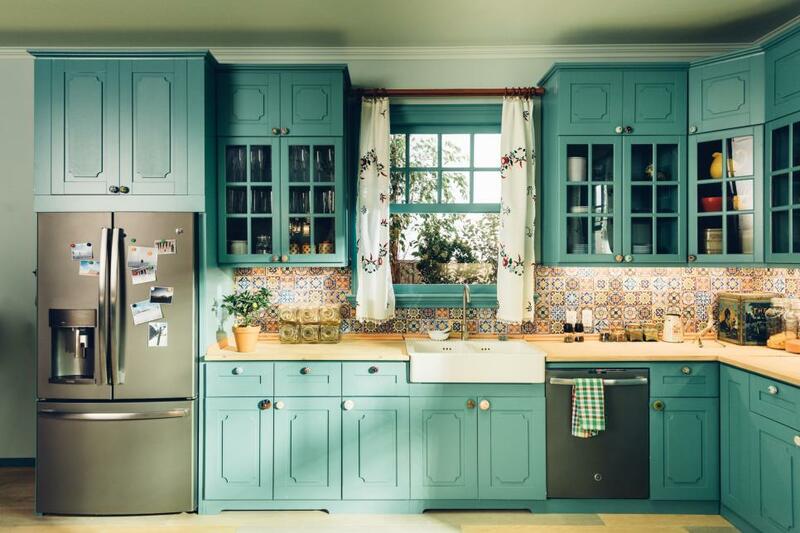 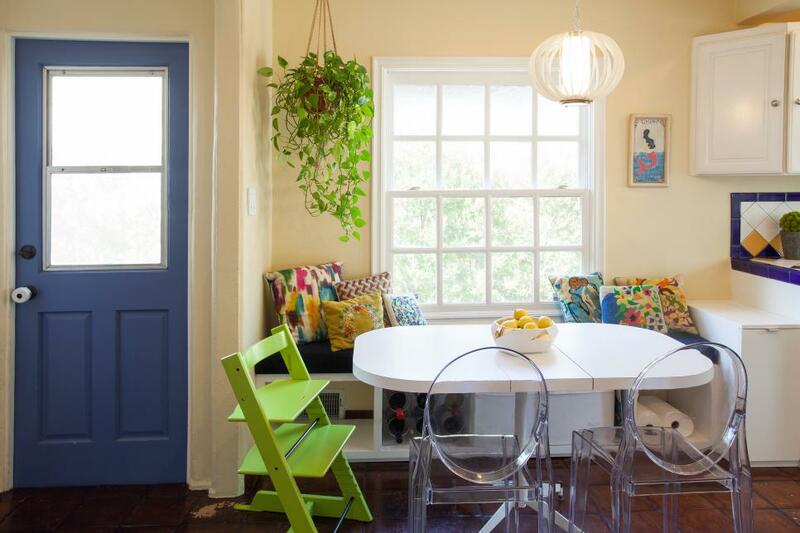 Filled with patterns and colors that appeal to kids and grownups alike, this sunny kitchen also has a cozy breakfast nook and, for an organic touch, a hanging houseplant. 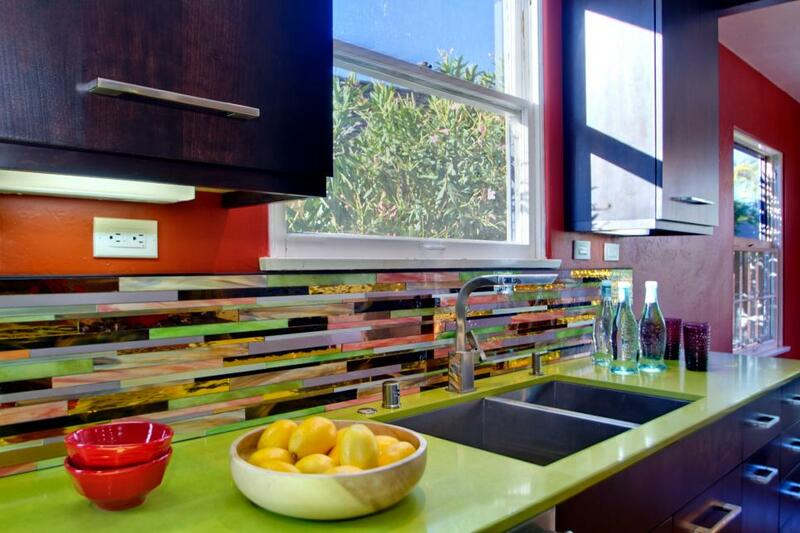 The funky backsplash in this eclectic kitchen reflects off the lime green countertops, red bowls and bowl of lemons, creating a multicolored effect to the tile. 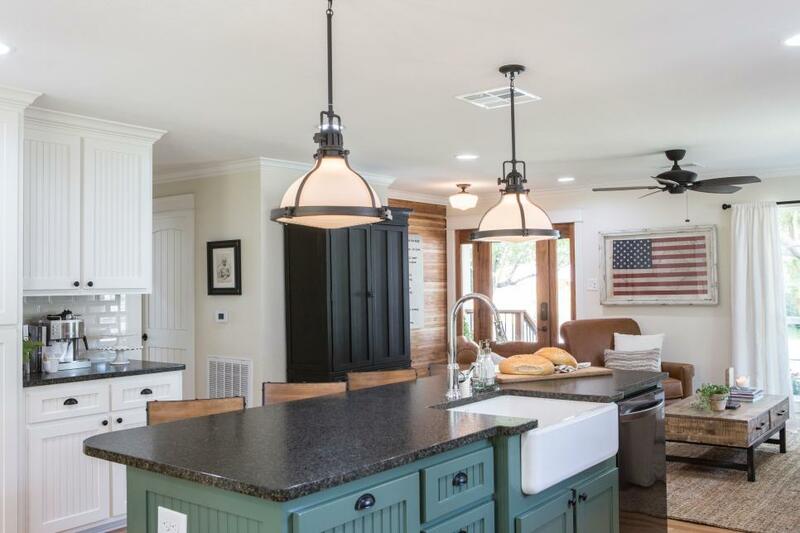 The expanded kitchen becomes the heart of the home, with a large island providing a work surface as well as a gathering place. 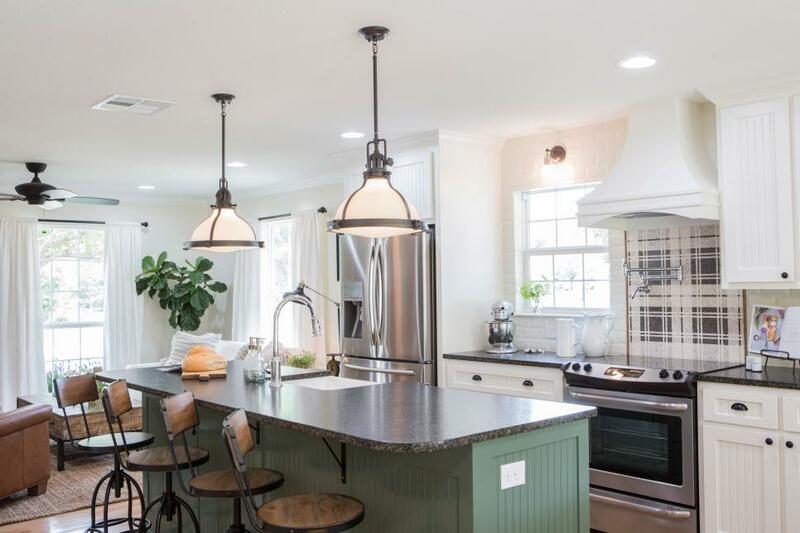 Other enhancements in the kitchen include all new countertops, backsplash, apron-front sink, new appliances and twin sconces illuminating the new island. 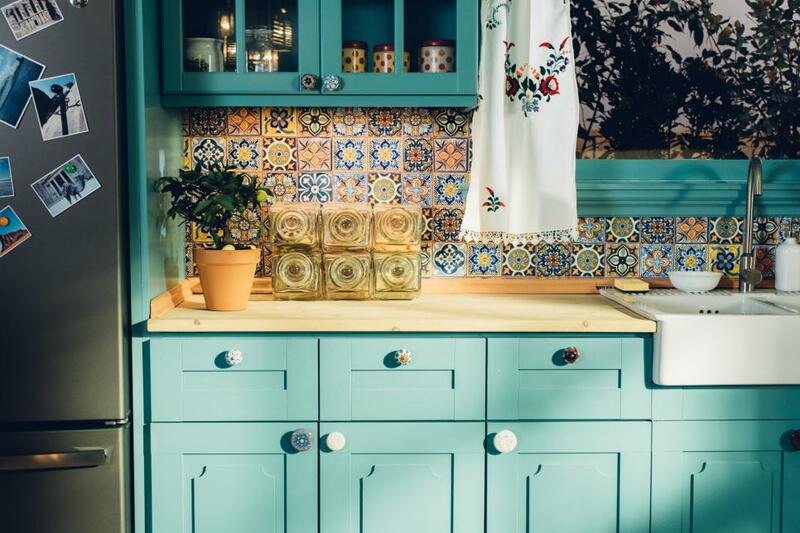 Color is a vibrant part of the redesigned kitchen, thanks to color-blocked cabinet fronts that take turns with mahogany ones. 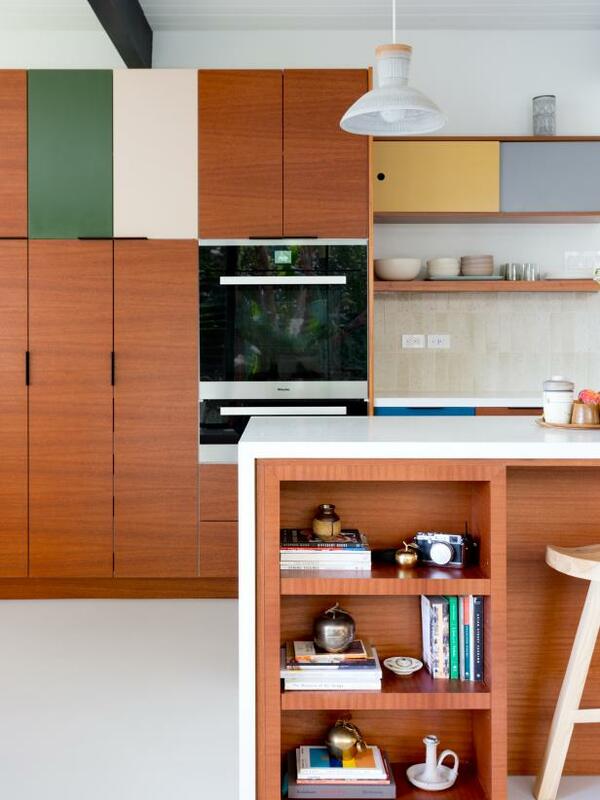 Open shelving shows off pretty ceramic dishware, a nice visual tie-in with the ceramic pendant lights.